It is with deep sorrow that we announce the death of Susan Wangeci Karaya that occurred on 5th August 2018 at Bahati General Hospital after a short illness. Daughter of The Late Naftal Kahwai and Lilian Njeri. 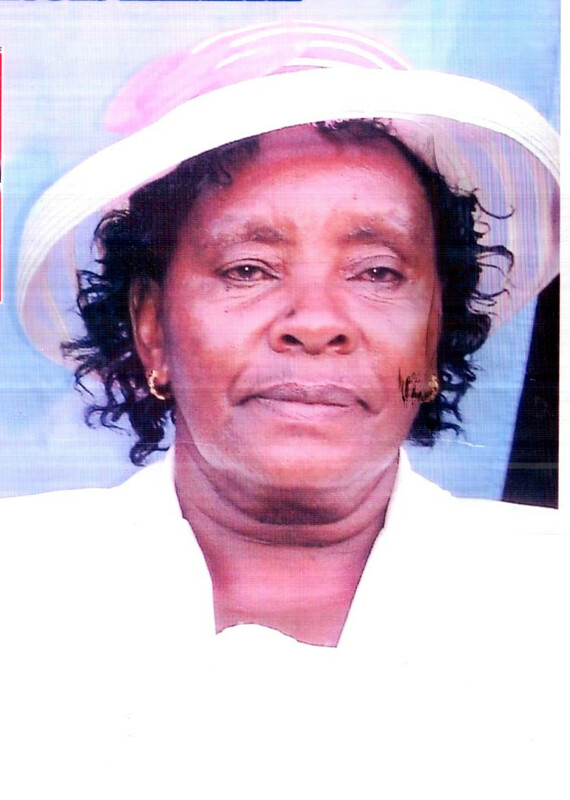 Mother of The Late Willy Maingi, Monica Wanjiku, Samwel Waweru, Jane Wanjiru, Lilian Njeri, David Kahwai and Christine Wanjiru. Sister of Macharia, Wanjiru, Gacheru, Gathu, Mukami, Waithira, Nyambura, Kamau, Njambi, Wakioru, Wairia, Njoki, David, Mugo. Grandmother of Karaya,Ndirai, Maureen, Willy, Liam, Leon, Mwangi, Wangeci and Susan. Friends and relatives are meeting daily at her residence in Solai ( NPA) and at Mombasa in Asian canteen at 4pm. The Cortege leaves War Memorial on Monday 13th Aug 2018 at 7am for burial at NPA solai on the same day.